The Geriatric Resource Nurse (GRN) program is part of an array of resources Methodist Health System offers as part of its strategic initiative to create systemwide solutions for the unique needs of older adults. As the senior population grows, these efforts – like the GRN program that help connect aging patients with the resources they need – will be more important than ever. 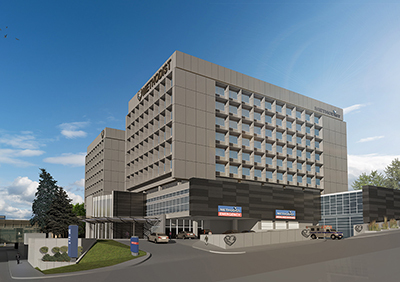 Emergency Department renovation and expansion: It’s been well-publicized that the $25 million project will double the number of patient rooms to 24 and add parking, leading to better access, less waiting and more efficiency. Less well-known is the focus on details that will make a big difference for older patients. Among them: dedicated quiet rooms, more bathrooms and carefully chosen flooring, chairs, clocks and other environmental features to promote safety, comfort and accessibility. ACEP accreditation: Methodist is working to gain Geriatric Emergency Department Accreditation from the American College of Emergency Physicians in 2019. Among the requirements are environmental improvements included in the emergency department expansion, increased geriatric education and continued support from a medical director and administration. AgeWISE: Methodist currently has more than 200 nurses who have completed this six-month geropalliative care residency program. After graduation, nurses apply to become professionally certified within their specialties. NICHE designation: Methodist Hospital has been recognized for its dedication to geriatric care through its Nurses Improving Care for Healthsystem Elders Program (NICHE). ACE Unit: The Acute Care for Elders (ACE) Unit at Methodist Hospital is designed to meet the needs of older adults and their families and caregivers. It aims to prevent health and safety complications while promoting patient independence. HELP volunteers: The Hospital Elder Life Program (HELP) is designed to help elder patients, who can become disoriented by the unfamiliar hospital setting and being out of their regular routines. The program is designed for health profession students who apply to become HELP volunteers. GEM Clinic: Methodist Hospital’s Geriatric Evaluation and Management (GEM) Clinic can help patients and families put together plans to address health challenges common to older adults. Balance and Fall Physical Therapy: While not exclusive to seniors, many take advantage of the Balance and Fall program as they begin to experience mobility issues. Big and Loud Programs: Patients diagnosed with Parkinson’s disease use these programs to enhance their quality of life as they cope with speech and motor function issues. Medical Home: Through the Patient-Centered Medical Home program, a health coach works with adult patients and their doctors to manage acute and chronic illnesses through preventive services and enhanced communication. The program aims to reduce hospital admissions and emergency room visits while improving patients’ health.